Okay we might be exaggerating a bit when we say you could die from Dental deep cleaning but don’t be fooled. It can be a potentially dangerous situation. One of the major Dental Deep Cleaning Side Effects that dentist’s fear is the release of Bacteremia into the blood stream after a deep cleaning session which is also called root scaling and planing. But which of these side effects is more common and does it make sense to undergo a root scaling procedure in the first place? Bacteremia – Worry A lot! Bacteremia occurs when bacteria enter the blood stream without any warning. This is definitely the case when it comes to deep cleaning because no one really knows whether the bacteria have infiltrated into the main blood stream. But the main concern with this is the possibility of infection. 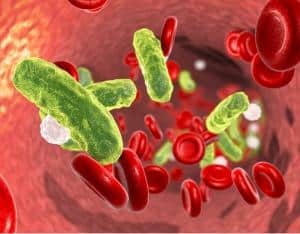 It’s actually been studied and there are signs showing that bacteremia with oral bacteria may also play role in pathogenesis of atherosclerosis. If your gum disease is quite bad and during the procedure you bleed a lot, be wary that there is the potential that bacteria that have been dislodged will sneak their way into your blood stream. To be on the safe side, we recommend you get a blood check carried out a few days after your root scaling procedure. If the deep cleaning procedure is not carried out properly, you might notice your teeth become loose and there is a risk of them falling out. Sometimes though this isn’t a big shock because the plaque and tartar build up on and under the gum line area make the teeth stay in place, which is a good thing in one sense but when the dangerous tartar is removed, it will leave spaces in and around the teeth. The spaces left by the tartar may not heal up quickly enough and you will get re occurring build up. In some cases the damage is so bad the teeth just fall out due to the lack of structural stability. If you smoke you are 3 times more likely to get gum disease compared to non-smokers. The reason for this is nicotine in the cigerrate reduces saliva flow and can lead to dry mouth symptoms. The saliva of smokers is thicker than a non-smoker and this makes it hard for the saliva to coat the teeth properly which leads to inadequate protection. Diabetics that cannot control their condition properly have less blood flow to their gums and teeth. This is because the blood vessels become altered and the efficiency of transporting nutrients and removal of waste from the body weakens. Naturally, the blood flow will also reduce and cause the weakening of gums and bone structure. This makes them more susceptible to infection! Plaque and tartar that build up under the gum line can accumulate and cause gum pockets to enlarge. What this means is your teeth’s bone structure will start to destabilise once the pocket sizes get below 3mm. Deep root scaling will remove any tartar and plaque from under the gum line but the damage to the tooth structure has already taken place. This means you will have to undergo other treatments/surgery to stop any further damage. But remember: Periodontal disease is not reversible! With All These Side Effects, Should I Get A Deep Cleaning Procedure Done? The side effects and risks associated with dental deep cleaning are minimal in comparison to the benefits that you will get out of it. It is absolutely critical that you remove plaque and tartar from the gum lines and teeth to stop it from progressing into periodontal disease. If you go speak with a professional trust worthy dentist and tell them about the concerns you have, they will make sure you understand everything clearly before you decide to go ahead with the treatment. What Does A Deep Clean Involve? It might seem quite scary at first but don’t worry, it’s a non-invasive and non-surgical procedure which involves a hygienist using hand instruments alongside ultrasonic equipment to scrape the plaque above and below the gum line. How severe your plaque build up will determine how the cleaning takes place. If you only have a mild case of gum disease, the procedure will be carried out in one session. If the condition is worse, your mouth will be split into different quadrants and the hygienist will work on each section one at a time. You will most likely need to book in 2-3 meetings if you have a severe case of plaque build up. After the procedure has been carried out, you will be given some prescribed medications such as antimicrobial mouth rinse, antiseptic chips or some other pain killers. After Care Is Very Important! It’s all good and well getting a deep cleaning carried out but if you go back to your same old pathetic oral hygiene routine you will be coming back to the dentist for the rest of your life. If your someone who falls into this category, please make a change in your oral habits. If you do you will see that you are visiting the dentist less and less. First thing in the morning after you get up, brush your teeth gently using only water. This is to remove any gunk and impurities built up overnight. 40-60 minutes after having breakfast, Floss your teeth gently making sure you get between each tooth. This will remove small particles and food. Brush your teeth for 2 minutes, ideally with an Electric Toothbrush. This is optional but you can use a mouth wash to help freshen up your mouth. After each big meal you have, always rinse your mouth with water afterwards and floss your teeth to remove particles stuck in between them. This will minimise the bacterial activity and less plaque build up will occur. This is the foundation of any good oral routine and if you incorporate this, you will start seeing positive changes. Is There Anything I Can Use To 10x My Teeth & Gum Health? We have already talked about the basic routine you need to be following. If you just do that you will see good improvements but that will happen over time. Before I answer that, I want to tell you that I brought the Orawellness Starter Kit myself, so it’s not something completely random I’m talking about. I have experience with it. The most important component of the Orawellness starter kit is the Healthy Mouth blend and the Bass Toothbrush. If you combine these two together, MAGIC Will Start To Take Place! I used this same method and within 2 weeks my gums were not bleeding anymore and they become a lot stronger. Want to learn how I did it and the methods I used? Then please read this post on: Orawellness Starter Kit Picture Review: Will It Work?. It will show the exact method I used to improve my gum issues within weeks. 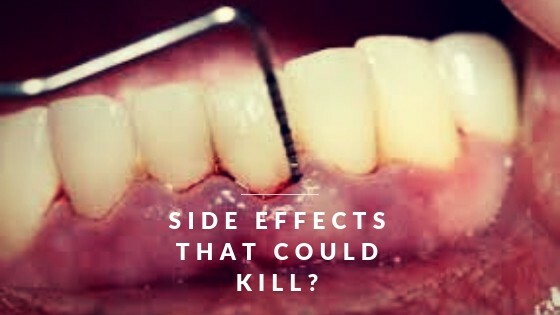 There are some Dental Deep Cleaning Side Effects you need to be wary of but please don’t worry too much because the cleaning procedure itself has more advantages than the potential side effects you could face. Bacteremia is the one with the most potential to do some harm but if you have a good dentist, they will go through some steps you can take afterwards to mitigate this problem. But the most important point we want you to take away from this post is that, you need to have a solid oral routine so that the plaque and tartar don’t build up to ridiculous levels where you have to constantly be coming back to the dentist for the same treatment over and over again. This will just increase your chances of catching one of the side effects. 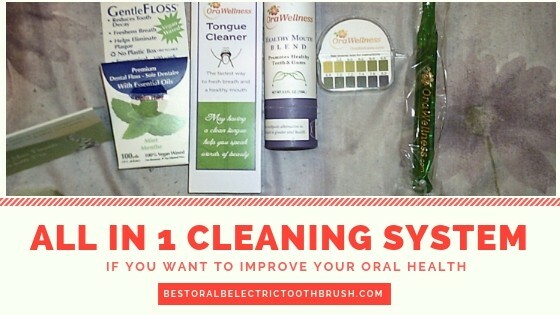 Try the Oral hygiene routine we have provided you with above and see what difference it makes. We are confident that if you implement it as we have instructed you will see big improvements over time and will not need deep cleaning ever again. There are so many things we have to be careful about and oral health is very important. I believe that most of us know that poor oral hygiene is unhealthy but I wasn’t aware of side effects from deep dental cleaning. Bacteremia sounds like it is very serious if it gets into the bloodstream.These are some great tips for taking care of your mouth first thing in the morning. I really need to get an electric toothbrush because I know it’s better than the standard toothbrush.I will follow your advice and talk to my dentist about dental deep cleaning! After having chemo my teeth have been a wreck. I have been trying to find something that will help combat the side effects. I didn’t know this product existed so thank you for opening my eyes to it. I’m going to look more into this system to see if it will actually benefit me. Sorry to hear about your chemo. Hopefully you will over come it. The orawellness starter kit is really good and more importantly, it works. I have tried it and noticed my gums weren’t bleeding anymore. I actually need to order some more of the Healthy Mouth blend as it’s running really low. My father used to be a dentist, so I’ve only ever had this scaling (or deep cleaning) done once – he made sure I looked after my teeth as a kid so I’ve never really had any problems with them in adult life. I must say that this Bacteremia sounds a little worrying – it also sounds like a pretty common condition with this deep cleaning. Are dentists aware of this beforehand? Shouldn’t they give you some sort of warning? I have never had a deep cleaning procedure done so cannot really say whether dentist’s warn you of the potential side effects before carrying out the scaling treatment. You would guess they would give you some info on the problems it can cause. I can’t thank you enough for such a thorough information and guide you’ve put here. For some few weeks back, I realized bleeding gum whenever I brush my teeth and I’ve been wondering how to curb it. Your article has not only educated me on the side effect of deep dental cleaning, but has given me a solution to my worry. Thanks for the good work you’re doing and keep it up. I do this deep cleaning every 6 months, never had any problem yet, besides that my teeth are way more sensitive for the first 2 weeks. I never knew there could be such bad side effects, but it is like you say, would you stop doing the deep cleaning because of it? My answer is also no, simply because it is maybe 1 person on 1000 that has it. And the benefits for me are so big, I wouldn’t hesitate to do it.